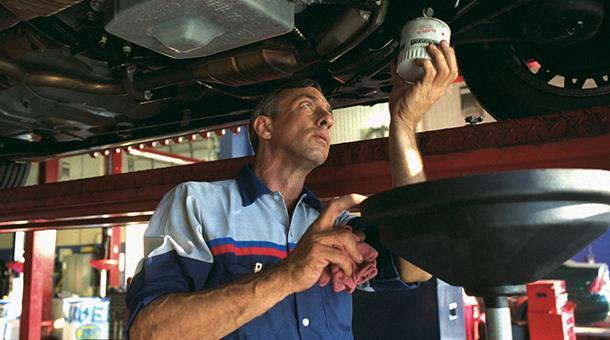 It's probably fair to say maintaining a vehicle isn't the most interesting, exciting or enjoyable aspect of vehicle ownership, but most of us realize and accept how important it is. We all know that it's important to keep up with scheduled servicing for any number of reasons, and keeping up with tires, exhausts, brakes and wipers speaks for itself. However, plenty of people neglect one of the most important areas of regular vehicle upkeep, and that's changing the oil in the engine. Without actually checking the state of your oil you're likely to be blissfully unaware of any damage that's being done by ageing and dirty oil, that is until it's too late to avoid a major fault and the associated expense. So, here's a look at what exactly the disadvantages of waiting to change your engine oil are. The biggest and most serious disadvantages of waiting to change your engine oil are the prospect of major engine damage and the expense and other problems that may result. It will take time for this to happen, but when a failure does come about as a result of old, dirty oil it's probably going to be a big one. Not only are you likely to be presented with a big bill for the repair, you could also be hugely inconvenienced with your car being in the garage for some time. It's perfectly right and correct to compare the oil in your engine to the blood in your veins. Your body and your car can still operate to a degree with blood and oil that isn't the very best it can be, but the worse it gets the greater the chance of serious breakdown. The oil in your engine primarily works as a lubricant to reduce the amount of wear and tear caused by metal components rubbing on other metal components. Although the lubricating oil cannot stop all wear, it will keep it to an acceptable level. But another vital job the oil does is to hold the tiny particles of metal that inevitably gets into the system as part of normal wear and tear. One of the most serious disadvantages of waiting to change your engine oil is that as more and more particles get into the oil, the more chance there is of blockages and additional wear caused by the buildup of these metal particles. Where your engine oil differs from the blood in your body is that your body has organs that are designed to clean it and redistribute that clean blood throughout your system. There are oil filters in car engines that do take some of the contaminants out of the oil as it does its job, but they can only handle so much before they become clogged themselves and cease to be effective. The only way to clean the oil in your engine is therefore to replace it and fit a new, clean filter. Another of the disadvantages of waiting to change your engine oil is that a potentially unrelated problem may be occurring that you are not going to be aware of until it's too late. Getting your oil changed by a professional on a regular basis also means that technician will be looking under your hood. That could lead to early detection of some other problem, and that's going to mean a smaller bill to fix than if it goes unseen and unresolved until it turns into something altogether more serious. A vehicle with old, dirty oil won't operate efficiently, which means it will perform worse than it should, it will put out more emissions than it needs to, and its fuel economy will also be adversely affected. Contact Us to Schedule an Oil Change!